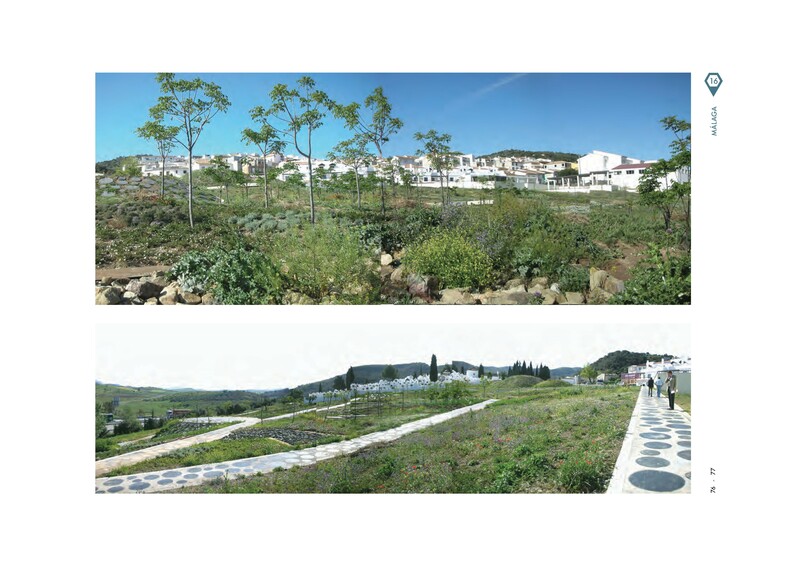 The project merges all types of significant on the ground movements and their surroundings, organizing bands on slopes, containing roads, spaces and plantations, a strategy which uses plant and mineral textures as a complement to the virgin soil bands. The land, semiarid, is affected by alterned periods of rain and drought. In line with this medium, the park gets irrigation water from aquifers, and use stone trays arranged in the band as sensors for drainage network. It has been planned the plantation of creepers and shrubs, organized to retain moisture and preserving the soil. In Casabermeja local celebrations it is used a particular plant iconography linked to the culture of the place of agrarian tradition. Trough the systematization of plantations, the project reflects this linkage planting shrubs and trees as specific references. 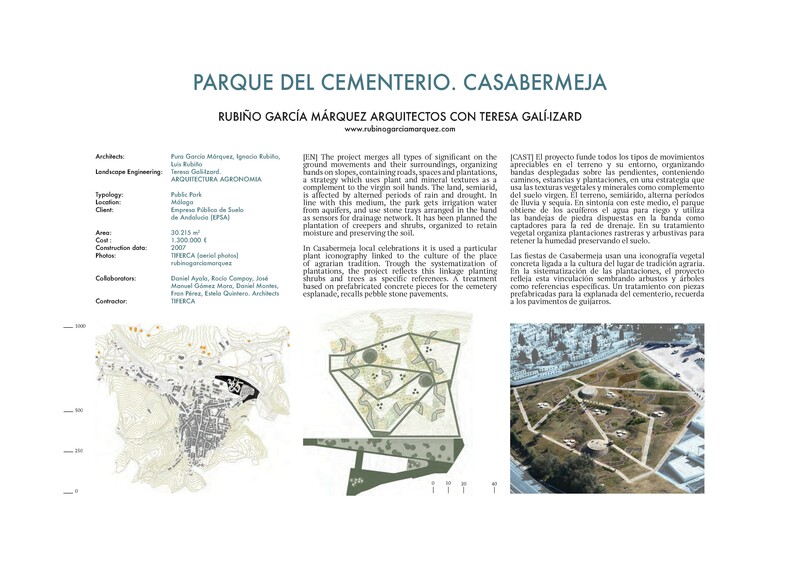 A treatment based on prefabricated concrete pieces for the cemetery esplanade, recalls pebble stone pavements.